Tomorrow marks the 145th running of the Travers at Saratoga Race Course. The $1.25 million dollar Grade I stakes race for 3-year-olds starts at 5:45 p.m. Bayern is currently the favorite followed by Belmont stakes winner Tonalist. The Los Angeles Angels held on for a 2-0 win over the Boston Red Sox last night to complete a four-game sweep at Fenway Park. The Los Angeles Angels are going to be without Garrett Richards for a playoff run after the AL West starter suffered a serious knee injury Wednesday night against the Red Sox in Boston. Richards was 13-4 with a 2.61 ERA this year. There was a real pitcher's duel in St. Petersburg, Florida, where the Rays beat the Tigers 1-0. Alex Cobb of the Rays went seven innings allowing two hits while striking out six. Loser David Price, who was traded by the Rays to the Tigers last month, went the distance giving up just one hit, a run scoring triple by Brandon Guyer. Price had nine strikeouts. Elsewhere Minnesota topped Cleveland 4-1. In the National League, the Washington Nationals winning streak is 10, tying the longest in team history since the team moved from Montreal in 2005. Denard (deh-NARD') Span scored on a throwing error in the bottom of the ninth in the Nats' 1-0 win over Arizona, their fifth walkoff victory in their last six games. Meanwhile Atlanta blanked Cincinnati 8-0, and the Dodgers won against San Diego 2-1. In a double header the Cubs beat San Francisco 2-1 in the first game, but San Fransico defeated the Cubs 5-3 in the second. Chicago held off gritty Philadelphia 6-5 in a matchup of inner-city teams at the Little League World Series. Chicago will play Las Vegas in the U.S. title game Saturday. The loss eliminated Philadelphia and prevented star pitcher Mo'ne (MOH'-nay) Davis from getting one last shot to put another stamp on what had become her personal playground. In NFL preseason action, Philadelphia beat Pittsburgh 31-21. The Siena College men’s basketball team will play UMass, Vermont, UAlbany and Cornell this year. Those are some of the highlights from the Saints’ non-conference schedule released Thursday. In the WNBA, Indiana edged Washington 78-73, and Minnesota won against San Antonio 88-84. ©2014 The Associated Press. All Rights Reserved. 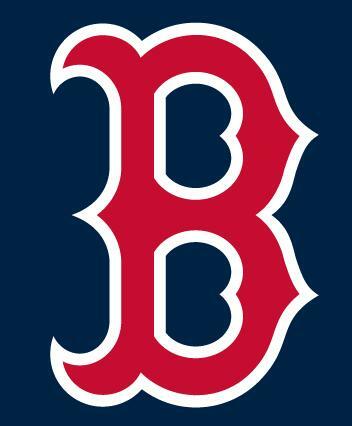 Checking baseball scores, Jake Peavy pitched a complete-game three-hitter and the Boston Red Sox beat the Los Angeles Dodgers 8-1 last night, becoming the first team to win a series from the NL West leaders in 2½ months. Jarrod Saltalamacchia, Shane Victorino and Mike Napoli homered for the Red Sox. The Rays were unable to complete a three-game sweep of the Yankees. Curtis Granderson lifted a sacrifice fly in the 11th inning as the Yanks beat Tampa Bay 3-2. Robinson Cano homered.